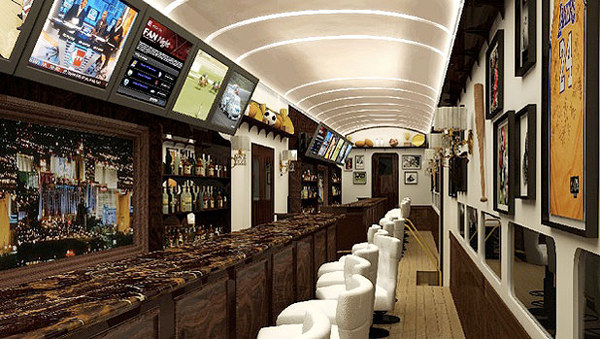 The new luxury train dubbed the ’X Train’ seeks to make it easier for people from Los Angeles to travel to Las Vegas from this summer. According to statistics, 12 million people from LA visit the glitter strip of Las Vegas by car every year. The distance between the two cities is 370 air kilometers and the train rougly takes around five and a half hours to reach its destination. 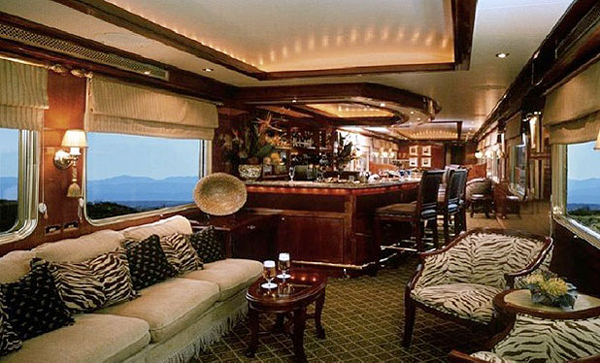 In the case of the X Train, it is really not the speed that makes it special, more the activities it has on board. 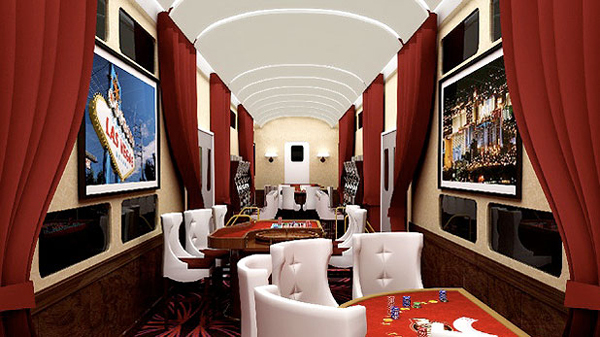 Because this train is a luxury train, the interior is decked out and also holds within it a casino, so you can have a few punts before you get to Vegas, but make sure you don’t lose everything before you even get there! Considering the fact that Las Vegas is already full of replica landmarks, this train will fit in perfect to this glamorous plastic city.